A few years ago, when my little wranglers were knee-high to a grasshopper, I took them to the Chisholm Trail Days in Georgetown, Texas. They wrote a little blurb about it in the Georgetown View the year after we went if you wanted to get a glimpse of what it might have been like when you make your plans for 2018. 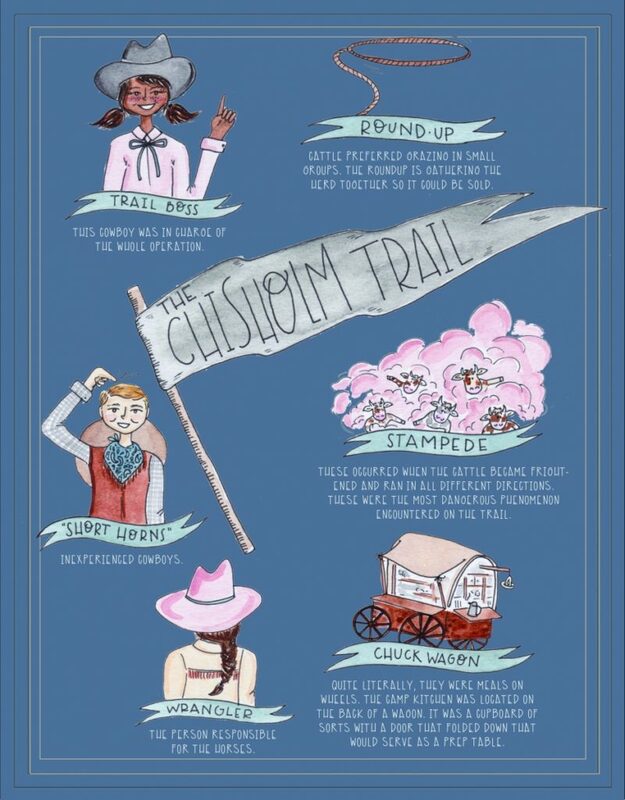 I have had it on my “post someday on the blog” list for eternity, and I thought I might post about it today for some reason… which led me to look up when the next Chisholm Trail Day event was taking place in Williamson County and lo and behold, it’s TOMORROW! First of all, I’m not sure if they have changed their image, name, or what… but the old website for upthechisholmtrail.org is no longer active (one time I clicked, I got a graphic image, so there’s no telling what is going on with that site – be careful). The logo I found on the web for the event is below, but the link was broken and this year’s event is only over ONE DAY, not two like the one we attended in 2014. We attended this event in October of 2014 at the San Gabriel Park. We met a cowboy cook and talked to him about his chuck wagon and his meat cooking method (he buried the meat like they do in Hawaii). He was awesome. His name is Ed Parsons, or “Rancho Ranger” of Chuckwagon Cook & Catering Fame. 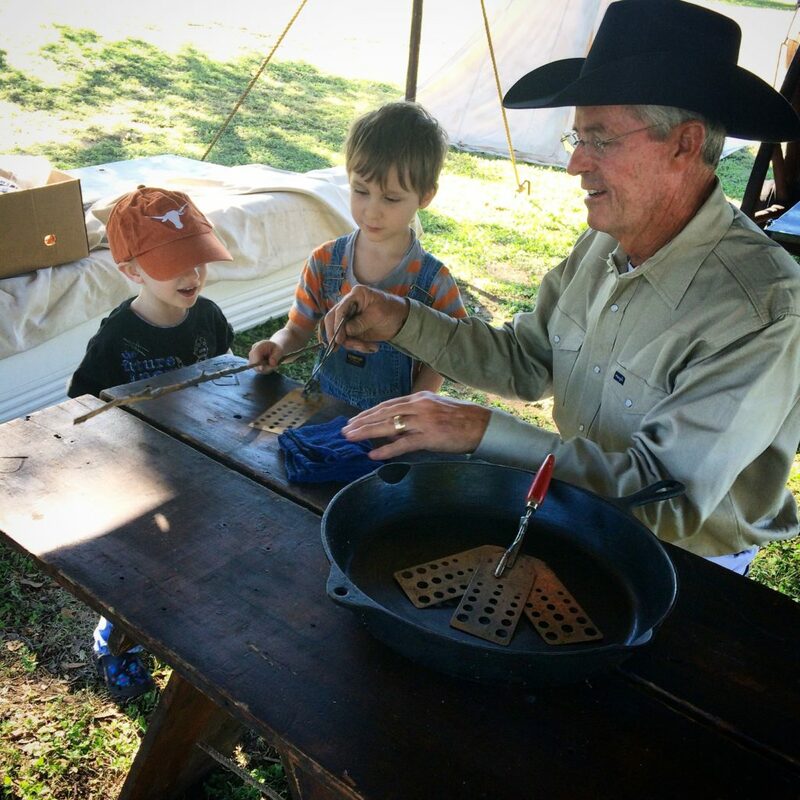 Chuckwagon Cooking with Ed Parsons – Briscoe Western Art Museum from Briscoe Western Art Museum on Vimeo. We didn’t see the authentic longhorn cattle drive the event boasted, nor go to the event kick-off that included a Cowboy Breakfast at 8 AM. I was sporting two little ones and we opted out of a lot of the festivities so we could get home for nap time. Now that my boys are older, we would want to go to more of what they have to offer. 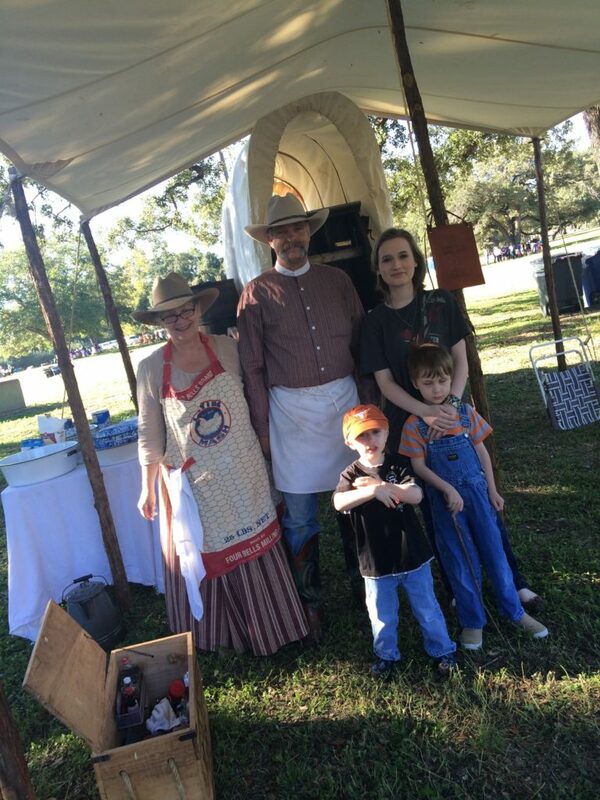 That year they provided Western music, a Children’s Corral, Western living history camps, and hands-on-activities run by those in period costume. You just can’t beat that for free admission. I love history, and I love me a free field trip! If you want to get a look at what you’re heading into down the trail, you can watch this KVUE movie about the museum. 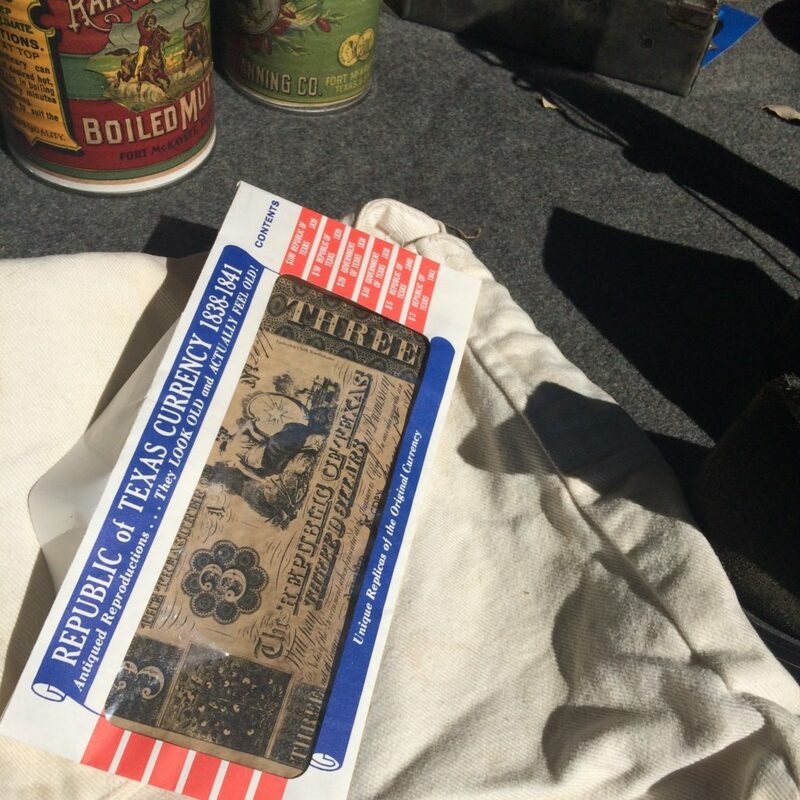 Fantastic information round up by True West Magazine with some old photos, history bits, and an exhaustive list of museums and heritage sites that you could check out for more information. 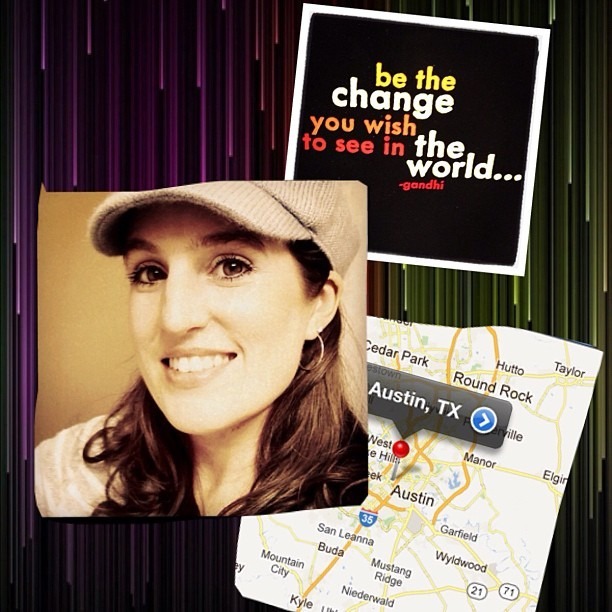 Or you could check out AMAZON with my link (I am an affiliate) for some children’s books about the Chisholm Trail. 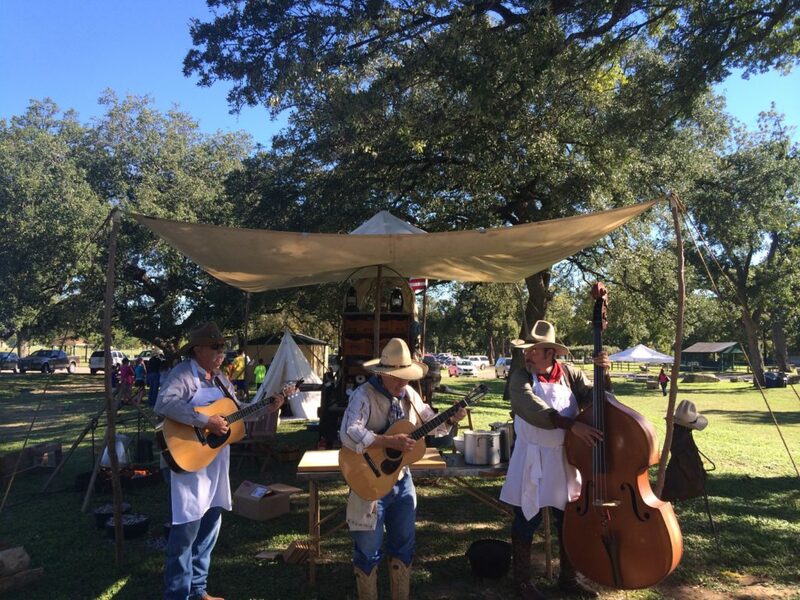 If you are in the Houston area, the annual trail rides there are so worth a look! Every year when I worked off the Katy Freeway, I would see the trail by the rail road track and watch the wagons and little cowboys and cowgirls and all the horses going down the service road. If you are a horse-lover and/or you ride yourself, you should look into joining in the fun! I can’t imagine being outside longer than 3 minutes in Houston humidity, but if you are made of less fluffy stuff than I am, you can have a blast on this trail ride. There are apparently 11 trail rides that all come to an end at the Houston Livestock Show and Rodeo – which is a huge, amazing event itself. They have a few educational resources on their website and a Rodeo Art Contest in January (but I am not sure if they allow homeschoolers to participate, since we haven’t lived in Houston for eternity). Fun fact: I won a ribbon in the Rodeo Art contest as a little kid with a horse drawing in elementary school. 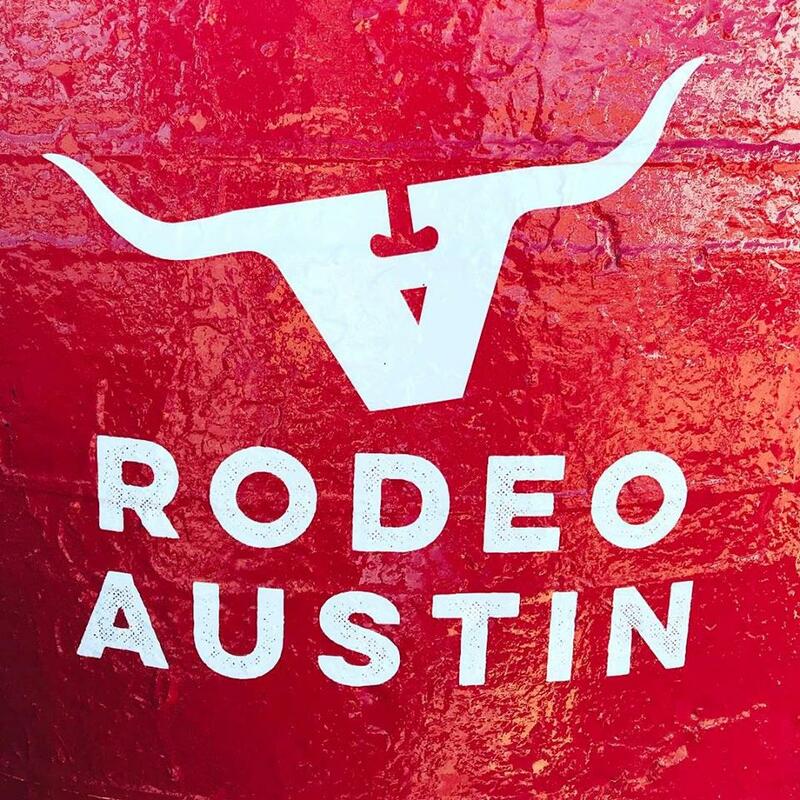 We attended Rodeo Austin this year, and that was fun, but it is a lot smaller of an event than the one in Houston, and I don’t think they have trail rides. I did not see anything about history this year, when we went. It was mostly modern farming, animal husbandry, and shows to entertain the kids. The closest thing to history was the singing cowboy with his silly chuck wagon songs that made the kids laugh. When you are entertaining kids outside in the heat in Texas, though, laughing is not a bad thing! Who could even mention the Chisholm Trail without a mention of the Fort Worth Stockyards? There’s so much history to learn and fun to be had there. A short drive south from Forth Worth is The Chisholm Trail Museum in Cleburne, TX (which I have not been to). … or you could just visit their site – they have a cool Longhorn Lore video in the education section (it’s now on our school list for the week).